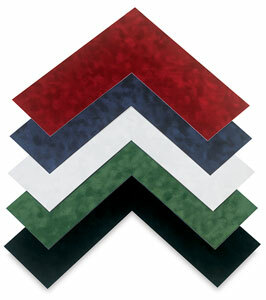 Crescent Moorman Fabric Matboards offer unparalleled quality, color, and style for sophisticated, refined matting. Their rich textures complement both traditional and contemporary décors. The surface, pure white core, and backing paper on these extra-thick matboards are acid-free and lignin-free. ® Crescent is a registered trademark.™ Moorman is a trademark.